Inspiration, encouragement and hope. These three are linked together in the river of creation that flows from your mind, through your hands and into your project. Inspiration may be the impetus to start something new. The buzz you get when you are inspired and begin your work. Time seems to fly as it gets underway. We may see clearly what we want to achieve and, though it might not turn out exactly as we had planned it, it starts to take shape. 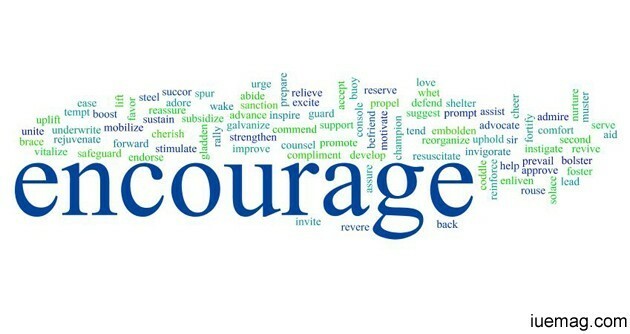 But then, when we have begun and things are dragging, then we need encouragement, from friends or acquaintances. And encouragement, from different sources, strangers, or the words from books or movies can do just as well. Something that reaffirms your original inspiration. It is possible to encourage yourself by remembering your previous successes as well, this should spur you on to completion. And so you continue towards your final goal. You should now have hope that you will finish and not be despondent. This hope is also like encouragement, a clear goal that manifests as you are nearing completion. The balance has shifted from inspiration, through encouragement, to hope and then onto the completion of the task or exercise. You can feel pleased that all is wrapped up, the end of the project, from the inspired beginning to the satisfying end. So, let me encourage you to encourage others as well as yourself. To help them by telling them that they should continue in their endeavor no matter how far they are from the goal. Do not criticise too harshly lest you kill the delicate bud produced by the inspiration, but nurture it, train it until it grows into a beautiful flower. From the seed of inspiration, the water of encouragement, the bud of hope leading to the fruit of completion.